A 53-year-old American housewife told Hilary Evans, a lead researcher of this phenomenon: “I couldn’t believe this was a phenomenon that others shared with me. I just thought I was nuts and so did those I told. … I first noticed street lights going off when I began taking college classes at [night] … Several times when I would turn into my street to come home, the streetlight outside our home went out. I didn’t say anything thinking something was wrong with it. “Then it began going off when I would step out onto the porch. For a while, I thought it was coincidence, then I began noticing lights turning off in other places.” For example, one night when she was walking with a friend, four lights went off as they passed and turned back on after she was clear of them. “It continues to happen to me, and I continue to try to make others believe me,” she wrote. Evans received many such testimonies from people of all walks of life. Evans also noted in his book “The SLI Effect,” that unlike some other paranormal phenomena, this one does not relate to any greater belief systems or carry with it the benefits or merit of other supernormal abilities. People thus have less reason to make it up. Beaty thinks people who experience SLI, dubbed SLIders, may be walking electric generators. He spoke of the static electricity we conduct when we scuff our feet on carpet, for example. He said we could conduct electricity by stealing electrons from the air each time we inhale. If inhaling makes us electrically charged, why doesn’t everyone have the same effect on streetlights? Beaty said there may be an as-of-yet undiscovered virus that could alter some people’s lungs, making them more likely to carry a charge. He recognizes that his theory is weird. “The vast, unstudied collection of weird things—some of those are real, and those are Nobel-Prize discoveries,” he said. 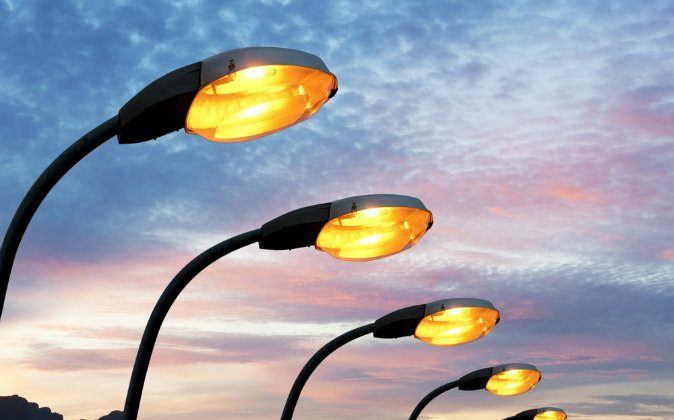 He notes that an investigator must rule out causes for streetlights flickering or going out, such as faulty lights and lowered temperature (which can affect the lights’ operation).